Joseph Kleitsch was born in 1882 in Nemet Szent Mihaly, a part of Hungary that is now part of Romania. 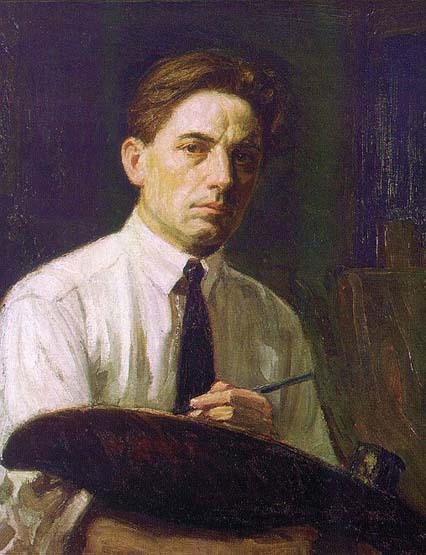 In his teens, he was apprenticed to a sign painter, but left after about 18 months to open his own studio as a portrait painter. Around 1901, he emigrated to Germany and then to the United States, settling in Cincinnati, Ohio. Kleitsch first lived in Denver where he painted portraits of prominent businessmen, and in 1907, moved to Hutchinson, Kansas, where he continued earning his living as a portrait painter. By the end of 1907, he had relocated to Mexico City, residing there between 1907 and 1909, and thereafter returned to the United States to settle in Chicago. In 1912, Kleitsch received an important commission to paint portraits of Mexico’s president, Francisco Madero, and his wife. These portraits earned him great recognition, which in turn brought him numerous commissions from Chicago’s rich and powerful. front of a window. He received high praise for these works and was compared favorably to the great Spanish artist Joaquin Sorolla (1863-1923) and in some reviews even to Rembrandt. 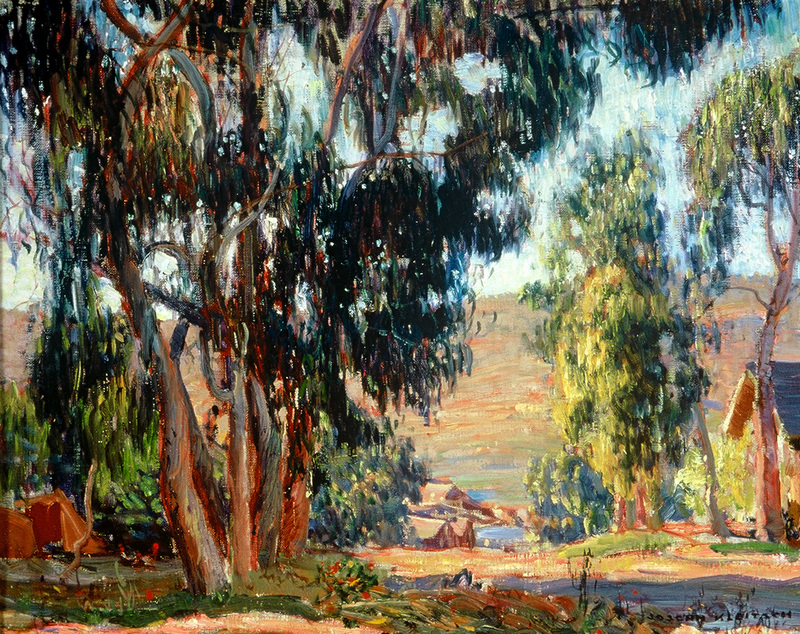 In Chicago, Kleitsch met and became close friends with artists Edgar and Elsie Payne, who urged him to visit Laguna Beach and paint the beautiful coastline. In 1920, he took their advice and came to Southern California, establishing residency in Laguna Beach. He continued to paint portraits, which were his main source of income, while he painted landscapes and still lifes. Kleitsch quickly earned praise and clients for his landscapes and still-lifes. He especially enjoyed painting streets and houses in and around Laguna Beach, whose charms he knew would soon succumb to real estate development. He favored a bold and active brushstroke which he combined with daring and brilliant colors. His painting technique identified him with the French Impressionists, who often dissolved forms into a vivid melange of color and light. Laguna Beach was the epicenter of the West Coast plein air movement, also known as California Impressionism. 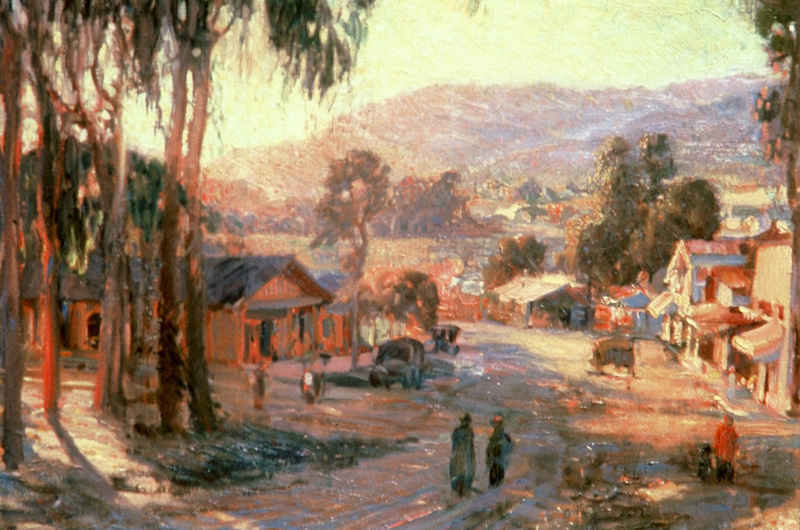 Early in the twentieth century, many of the most renowned painters in the movement lived and worked in Laguna Beach including William Wendt, Anna Hills and Kleitsch. The latter two helped found the Laguna Art Museum in 1918. Spain where he painted portraits and landscapes. One place he particularly enjoyed was the village of Giverny, where Claude Monet made his home. 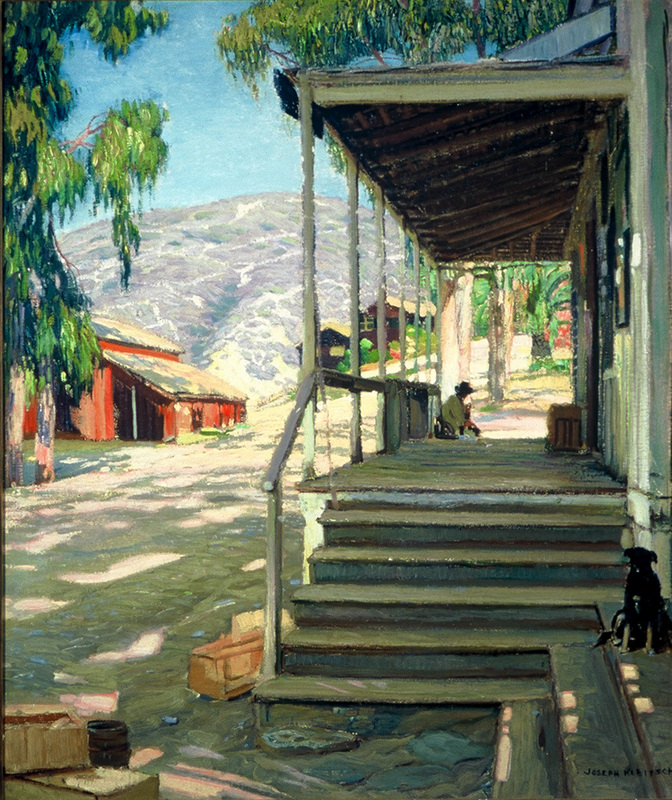 He returned to California in November 1927, and continued to paint in Laguna until his untimely death in 1931, at the age of 49. Today, paintings by Joseph Kleitsch enjoy a particularly great popularity and are often exhibited in the Laguna Art Museum and The Irvine Museum. Last year, a painting by Kleitsch made national news when is was retrieved by Al Trevino from his home, perilously undermined by the Bluebird Canyon landslide. The proceeds from the sale of that painting will underwrite the rebuilding of the Trevino home. Stern is the executive director of The Irvine Museum.